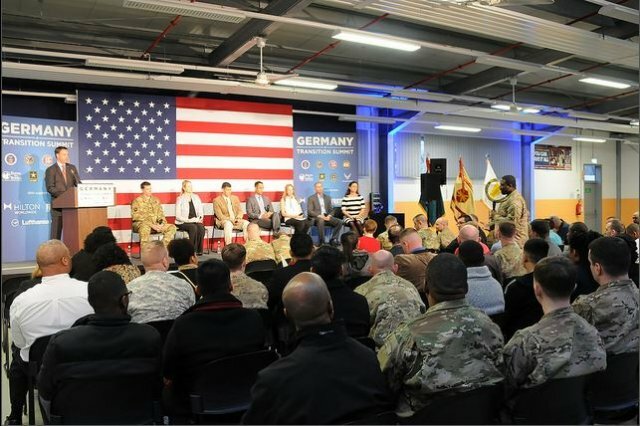 GRAFENWOEHR, Germany — The U.S. Chamber of Commerce Foundation’s Hiring Our Heroes program will sponsor three career summits in Europe during March and April. The summits feature career-planning workshops, industry briefs, panel discussions with employers, individual coaching for resumes, interviews and LinkedIn, networking receptions, and career fairs — all aimed at helping transitioning service members, veterans and military spouses engage with employers and build careers. More than 25 employers will be represented the career fair. View the current list of employers here. The summits are free and open to active-duty service members, Guard and Reserve, veterans and military spouses. Summit organizers encourage attendees to register online prior to the event. For information on the career summits at USAG Italy and USAG Rheinland-Pfalz, head to www.army.mil/article/216705.